Since attaining independence in 1990, Namibia has been ruled by the former liberation movement, the South West African People‘s Organisation (SWAPO). The opposition has not been successful thus far in breaking out of this de facto one-party rule. Checks and balances on the three powers are imbalanced, while borderlines between the political party, government and business are blurred. Civil society lacks the organisational power and ideas to be able to effectively help shape policy. Trade unions are unable to operate independently as a result of their close ties to the governing party. The core elements of rule of law are being upheld, however - in spite of some attempts to curtail them. Thanks to its solid economic policy with stable growth rates since 2011, Namibia is a member of the category of upper middle income countries. Thus far, the broad population has scarcely participated in this development, however. Economic growth has not been accompanied by growth in manufacturing or the creation of jobs. Unemployment is high; especially in rural areas many people work in the informal sector, usually living below the poverty level. 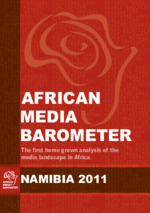 Moreover, Namibia has one of the most unjust distributions of income and wealth in the world. Only since the election of President Hage Geingob in 2014 have poverty and inequality been made priority topics for the first time. 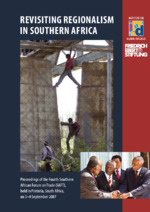 The Friedrich-Ebert-Stiftung (FES), which has been working in Windhoek since 1989, cooperates with the Namibian Parliament on various societal and economic-policy topics. It supports the women's organisation of SWAPO and other women's organisations with the objective of attaining equal participation of women. Young political leaders are being encouraged and fostered in a national Youth Leadership Development Program (YLDP) in consultation with the Ministry of Youth and the National Youth Council. In addition, the FES is working with various civil society organisations and research institutions in the topical areas of social security, participation by civil society, energy and climate protection as well as with individual trade unions to strengthen employee representation. 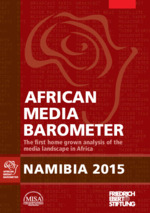 Windhoek is furthermore the location of the FES media project, which is active throughout Sub-Saharan Africa. 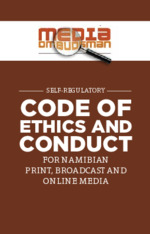 Learn more about our work in Namibia on the project's website.